High-tech entrepreneur Elon Musk has his sights set on building robots that can do housework, have conversations and play games. In working on these different robotic abilities, Musk, the CEO of both SpaceX and Tesla Motors, said he hopes to advance the artificial intelligence algorithms that will be needed to create them. "A significant fraction of our research bandwidth is being spent on fundamental research," wrote Musk, along with Ilya Sutskever, Greg Brockman and Sam Altman, who also are working with OpenAI, an open-source A.I. research company, in a blog post Monday. "A significant fraction of our research bandwidth is being spent on fundamental research. We'll always be developing and testing new ideas... This is important -- our current ideas will not be enough to achieve our long-term goal." In the blog post, they noted that one of their goals is to build an off-the-shelf robot that can do household chores. "There are existing techniques for specific tasks, but we believe that learning algorithms can eventually be made reliable enough to create a general-purpose robot," the post reads. "More generally, robotics is a good test bed for many challenges in A.I." Another of the OpenAI team's projects is building the algorithms needed to create a robot that can have complex conversations, take verbal instructions and ask questions about tasks it is given. "Today, there are promising algorithms for supervised language tasks such as question answering, syntactic parsing and machine translation but there aren't any for more advanced linguistic goals, such as the ability to carry a conversation, the ability to fully understand a document, and the ability to follow complex instructions in natural language," they wrote. "We expect to develop new learning algorithms and paradigms to tackle these problems." The OpenAI team also is working on creating one artificial intelligence system that can play multiple games. Being able to quickly and deftly learn to play multiple games will advance the technology of reinforcement learning, a segment of machine learning. "Our projects and fundamental research all have shared cores, so progress on any is likely to benefit the others," the researchers wrote. "We're just getting started on these projects, and the details may change as we gain additional data. We also expect to add new projects over time." Zeus Kerravala, an analyst with ZK Research, said these statements may not seem like critical steps, but it’s important research. OpenAI was launched less than two months ago as a project aimed at helping developers use A.I. and machine learning to create smart robots and devices. 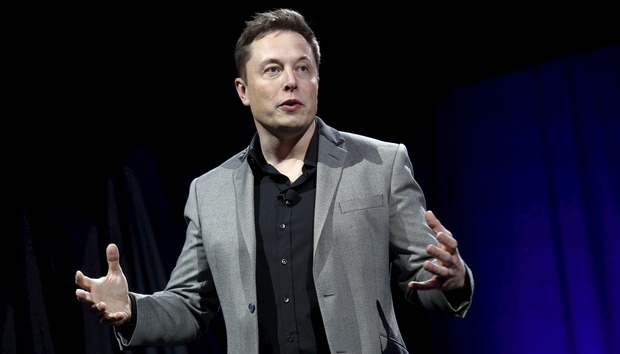 While the research could benefit both Tesla and SpaceX, Musk also has stated that A.I. could be a danger to humans. "I think we should be very careful about artificial intelligence," Musk said during an MIT symposium late in 2014. "If I were to guess at what our biggest existential threat is, it's probably that... With artificial intelligence, we are summoning the demon."